How viable is the World Esports Association? Asking questions of esports' new federation. Friday’s announcement of the World Esports Association, WESA, could’ve gone smoother. A leaked logo earlier in the week prompted widespread speculation, and even in the immediate aftermath of the official announcement it was tough to find a clear explanation of what this new sports federation would actually do. In part this is the fault of WESA itself. I was at the launch in London, and my experience was of a number of good ideas struggling to make themselves heard above the furore. There are a bunch of different ways to say ‘we want to create a more stable and professional conversation around esports’, after all, and ‘we’ve started FIFA’ is only one of them—although it just happens to be the one that makes people think about corruption and bad governance. It feels like they’ve been fighting fires from minute one as a consequence of mishandling a few key points. On the other hand, the way the conversation around WESA has developed demonstrates, with bittersweet irony, why something like WESA is necessary. The esports community likes to hold court in Reddit and on Twitter. YouTube and the press are used as soundboards that start public fights elsewhere on social media. And I’m not just talking about fans: the last few days have seen senior industry figures—including members of WESA—get drawn into a mess of he-said-she-said. This is an industry used to conducting its affairs through DMs and private Skype channels, where transparency (i.e, a leaked chat log) is usually a consequence of a fight getting out of hand. WESA’s most appealing stated aim is its desire to structure and professionalise exactly this kind of conversation; to provide a way for esports orgs to talk to one another in a way that avoids exactly this kind of unhappy fallout. I don’t think that’s a crazy idea, in and of itself. Here’s a broad outline: WESA is a committee featuring eight large esports organisations (Fnatic, NiP, Na’Vi, Virtus.pro, G2, EnVyUs, FaZe and mousesports) and one tournament organiser (ESL). Representatives for these organisations are joined by a representative from a player council. WESA is distinct from other sports federations in that it gives players direct representation independent of their teams. Motions brought to the committee will require a 75% majority vote to pass, and any policies brought into being by WESA will only be applicable to WESA members and WESA-sanctioned leagues. WESA members will be able to play in non-WESA leagues, and non-members will be able to play in leagues that WESA oversees. WESA itself will not run events or leagues at all, but given the connection to ESL it’s not surprising that the CS:GO Pro League is the first to be sanctioned by WESA. Areas of consideration suggested to me on Friday range from anti-doping to anti-gambling, broadcast rights, scheduling and legal dispute resolution. To that latter end, WESA will also operate an arbitration court designed specifically for esports. They boast that this will be able to operate via video chat, return a verdict within 48 hours, and allow disputes to be resolved independent of the complex web of national jurisdictions that esports has traditionally struggled to navigate. The association will fund itself with membership fees (the board would not specify how much this is) and by taking a revenue share of the leagues that it sanctions. This share is split evenly between all member organisations. Almost all of it has precedent within conventional sport (WESA’s first league commissioner, Pietro Fringuelli, was previously a legal advisor to the German Bundesliga) and the failings of similar organisations, like FIFA, does not necessarily mean that this also will fail. Associations and unions are not de facto corrupt, and all governance is imperfect to a degree. If esports is to become more structured, that has to start somewhere. There is no perfect external authority to be consulted for an industry this new, with this many unique considerations. To that end, I understand why WESA has formed in the way that it has. The controversy surrounding WESA, then, comes from a few different places: concern about who is involved in WESA and how much power they’ll have; the motivations that drive its members; the failure of previous initiatives like this; a general distrust of centralised governance. I put these concerns to James ‘Kennigit’ Lampkin, VP of Pro Gaming for ESL. People think we’re just coming in and making a power grab and trying to control the entire space. That is by no means the ambition we have here at all. A lot of what WESA seeks to do (arbitration being the exception) already happens unofficially in some form or another. Esports orgs talk to one another in order to agree on schedules, players talk to each other about how they are treated, and how they’d like to be treated, and so on. At its most benign, WESA seeks to make these processes more transparent and consistent. Given WESA’s stated aim to professionalise communication in the industry, the question of who has been invited to participate in that process is a primary concern. There are a lot of high-profile teams already involved, but many that aren’t. Most notably absent, however, are the other tournament organisers: MLG, DreamHack, FACEIT, and so on. As far as WESA’s launch incarnation is concerned, ESL speaks for that entire aspect of the industry. This is clearly questionable, and the hardest thing about WESA to accept on trust. The structure of WESA, Lampkin argues, prevents ESL from operating with the kind of impunity that concerned fans have suggested. Even so, there are understandable concerns about how ESL might influence the association’s priorities, or take advantage of these new clearer lines of communication. To that end, Lampkin asks that people wait and see. Lampkin didn’t offer a specific explanation for why these discussions failed, so in that sense this remains another aspect of this difficult subject that the community is being asked to take on trust. ‘We tried, but we’re the only people who want to make this happen’ is the message here. And it’s easy to be cynical about that message. This is an open playing field. There is nothing stopping any organiser from building systems, fighting doping, fighting corruption, fighting against match-fixing. This, at least, is something that can be independently assessed. ESL have repeatedly expressed an interest in professionalising esports—no other tournament organiser has been as public about anti-doping, for example, or diversity. This does not mean that their involvement in WESA is altruistic, but it does lend credence to Lampkin’s notion that ESL happens to be the organisation with the most drive when it comes to these issues. This might sound unfair, particularly if you’re working for one of ESL’s rivals: in which case the onus is on those organisations to prove that they’re just as engaged. Put it this way: if WESA is successful in creating a system of governance that makes CS:GO players richer, safer and happier, and attaches that primarily to ESL events, then ESL will definitely benefit—and that is worth being circumspect about. However: players will also be richer, safer and happier. That should make it harder for tournament organisers of all kinds, including ESL, to offer players anything less than the good deal that they’ve become accustomed to. This is a best-case scenario, perhaps, but it illustrates why a pragmatic approach, even one that seems compromised, has the potential to exert a positive influence over the esports industry as a whole. If long-term players want these things, and they are not being provided for in the industry as it currently operates, then they will go looking for it. It’s worth considering that WESA has been established with a focus on CS:GO—that seems to have been the main criteria governing which teams were initially invited—and the CS:GO scene is probably the most open to this kind of structure. There’s little publisher oversight, a lot of different stakeholders, and little stability. This is the sense that I get from Sättermon, too: CS:GO both needs better governance and is open to it. He cites League of Legends as an attractive model. Through WESA, however, these organisations—many of them a decade or more old—have an opportunity to become the official governing heart of the CS:GO scene. They may well prove to be benevolent governors, but they’ll still define the environment that players operate within. The growth of the Dota 2 scene makes for a useful contrast, here. The vast prize pools associated with the International, coupled with Valve’s preference for working directly with players rather than teams, has created a highly unstable environment. 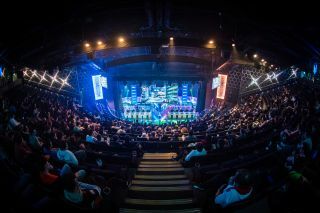 The influence of the traditional esports orgs has been on the wane since 2014, when a number of teams split up and reassembled under new banners. This has been a mixed blessing: ‘more freedom’ has, on occasion, meant ‘more freedom to get screwed over’. But players have largely been in charge of their own destinies. As prize pools in CS:GO increase, it’s not surprising that the old orgs are looking for ways to increase their significance in the eyes of their players before the scene goes the way of Dota. If they’re trying to do that by offering the players a better deal as part of a WESA member org than they’d get on their own, however, then it’s hard to say that this is necessarily a bad thing. I suspect the discussion around WESA will change dramatically the moment they either (a) screw up or (b) solve a major problem for players. The former would prove the cynicism of the last few days warranted. The latter would suggest that ESL et al deserve more benefit of the doubt than they’ve been getting. Beyond that, the organisation’s first challenge is creating meaningful regulations that create more stability and better quality of life for players within the CS:GO scene. That is far easier said than done, and likely the work of months if not years. But if they can do that—and that’s another big ‘but’—then the next step is to apply WESA’s learnings to other esports. Sättermon is confident that this is possible. The only way WESA works is if it has the buy-in of players and teams. There is a long, tough journey ahead for WESA. The association has been founded in a culture that was primed to reject it from the start, and it may yet prove that this is justified. Yet I worry that this same culture might prevent WESA, or an organisation like it, from being effective despite best intentions. If every attempt to establish standards is treated like a conspiracy, and every attempt to make esports more profitable treated like a scandal, then the conversation within the industry—between teams and showrunners, teams and players, organisations and fans—has almost nowhere to go. It’s important to ask tough questions. As the esports industry matures, however, these are questions that need answering too: who is going to offer players a secure career path? Who is going to prevent another crash? Who is going to ensure that the rights of players don’t get trampled as the business becomes more profitable? WESA may not prove to have all, or any, of the answers. In that case, the question becomes: who does?